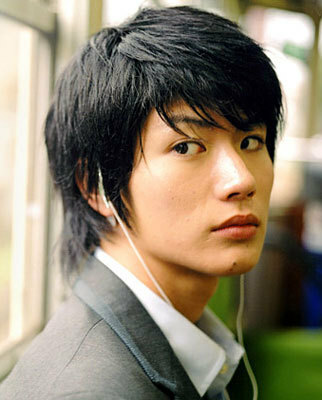 Summary: The story starts off with Ashiya Mizuki (芦屋 瑞稀) enrolling in Osaka Gakuen (桜咲学園), a school for boys. To do so, she defies her parents wishes, disguises herself as a boy, and leaves her home in the United States for Japan. Why? Because a high jumper, Sano Izumi (佐野 泉), injured himself to save her life and can’t jump anymore. And, surprise surprise, Sano goes to Osaka Gakuen. When Mizuki arrives, the residents are not as friendly as they could be, but Mizuki sticks it out. She also discovers that Sano is her roommate. At Osaka, Mizuki befriends the funny Nakatsu Shuichi (中津 秀一). To top off all the weirdness, Shuichi starts falling for Mizuki, only to wonder about his sexuality (he still thinks Mizuki is a guy) while Mizuki pursues her love with Sano. Starring Horikita Maki (堀北 真希), Oguri Shun (小栗 旬), Ikuta Toma (生田 斗真).